Dentures are prosthetic teeth that are implanted into a plastic base that looks like your gums. A custom-fitted denture made out of high quality materials is created according to the specific dimensions of your oral anatomy, ensuring that it fits comfortably to help you eat and speak with ease. Dentures are designed to be either partial or complete. The one that is right for you depends on how many teeth you are missing. A partial denture replaces several missing teeth from anywhere in the mouth when some natural teeth still remain in the gum line. It is secured with metal brackets or braces. A complete denture takes the place of an entire row of missing teeth. It is held in place with natural suction. A denture cream or adhesive can provide additional security and prevent food from coming between the gums and the denture. Dentures can also be retained with dental implants, which provide the ultimate in stability for any prosthetic. People who are eligible for implants (i.e. patients who are in good oral and overall health) should strongly consider this option. Better oral health: When a denture fits like it should, you won’t have to worry about oral sores or discomfort. A proper fit also prevents jawbone degeneration to help you retain your youthful facial structure. Renewed self-confidence: It’s easier to eat, speak, and smile with confidence when you are wearing a custom-fitted prosthetic. A smart financial investment: People who can afford to invest in a custom-fitted denture upfront benefit from a longer-lasting replacement and a better investment overall. With proper maintenance, a traditional denture will need to be replaced every five to seven years. Proper maintenance is important to make sure your denture lasts for as long as possible. Be sure to clean your denture and any remaining teeth thoroughly. Remove your denture at night and soak it in water or a denture solution to keep it from losing its fit. Do not expose your denture to hot temperatures, which could cause it to warp. Notify your dentist as soon as possible if you develop oral sores or if your denture causes discomfort. Dr. Jignesh Patel is an expert in restorative dentistry offering a range of tooth replacement options, from partials and dentures to dental implants. 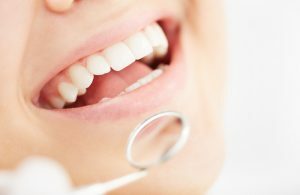 To learn more about your options or to schedule an appointment for high quality dentistry, you are invited to contact your dentist in Jacksonville at 904-262-9466.